Which is better for a fresher: Accenture or Infosys? Why? A fresher is the one who have just started his professional career in a particular field. Fresher is a learner, who wants to earn monthly wages to feed family or to enrol in many future programmes, at the same time a fresher looks forward to exploring many professional platform, which will groom him/her more in other curriculum activities. So, the question raises here that, which company is the right one who can not only compensate well but also develop learning skills to boost the career of a new joiner. BPOs have been a boom for many of the freshers who have been brought specially from finance sector. BPOs have catered and nurtured the freshers so well, to sail their boat in to the right direction. After an academic session, the students get enrolled in a various campus recruitment programmes. Many BPO/KPO or ITes companies come up to pick the creamy layer of resources. Same way, companies like Accenture and Infosys also run such campus recruitment programmes after a tie up plan with the relevant institutes. A person who is so new to this corporate world, is genuinely unable to differentiate between the companies could be beneficiary for him/her from all aspects. So let’s, pick up Accenture and Infosys and give some counter statements to understand the better platform provider company for a seed to nurture to be a plant. Infosys, an older company than Accenture, has a contribution majorly into IT and then into Finance & Accounting. This company was coming into the picture as first time in Bangalore in the year 1981. That time, the company had only focus on IT business, but after year 2005, when Outsourcing had gripped India, Infosys also jumped in and grabbed some outsourced business and started a new business of BPO industry. Being a BPO industry, they offered many finance related jobs to the freshers. Now, the offer was released in bulk but, due to Indian way of HR management, the company been reserved to some limited training and development programmes. The hired resource could not pick the right road to travel and felt underutilized or struggler to find the right path. Unfortunately, the company have been struggling entirely to groom their BPO employees, and there are many ex-employee’s reviews over the internet, where in they have mentioned the reason of high rate of attrition. An employee, leaves their bosses and never a company. It has been noticed that in Infosys, the managers are not well trained to manage their teams, through effective one on one sessions, which result into, the team member specially the freshers feel path less and decide to move on. Now, let’s understand about Accenture’s way of working. Accenture, comparatively a younger company. The company had started the journey through IT sector, and groomed well under the influence of western leadership, who had controlled its India operations from the remote location. Joining the stream, Accenture also had taken a deep dive in BPO business exactly near to same time when Infosys jumped in the water. 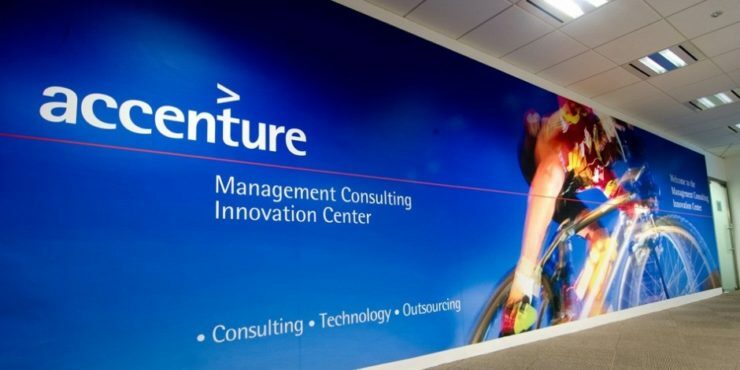 But comparatively, Accenture had a good chain of human resource people, who understood the planting way for a fresher. The freshers were involved in pre-process training form the day 1 and until they don’t gets trained, they were not allowed to work in live production. Accenture maintained the same flow till even today. Now, if a fresher is hired for running process, then through various process operating procedures the fresher gets to understand, all critical non critical business activities to perform or vice versa if its pilot process, a fresher may get a chance to fly abroad and work in the client’s location and create the operating procedure buy him/her self and then again come back to India to give reverse knowledge transfer to other freshers. This way the freshers will always get boosted to meet the shoulder with other experienced resource of company. This is the reason attrition rate is not high in Accenture but high in Infosys. Hence, its equational proved that Accenture provide better platform to freshers to groom their career. Go for Accenture dear freshers!!!!!! !